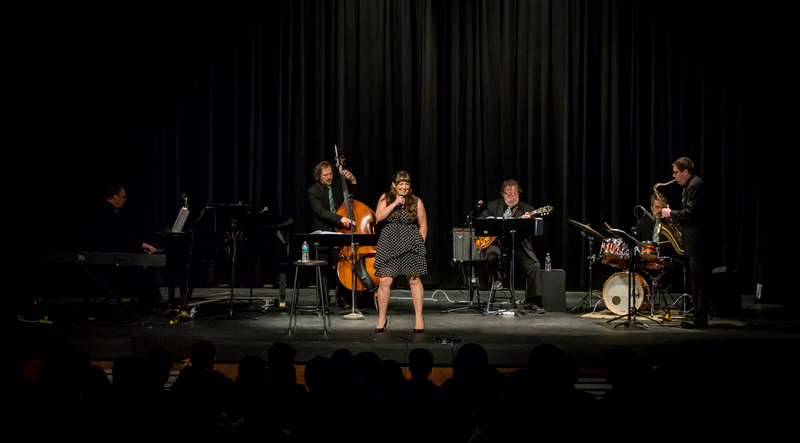 On Thursday, January 24, 2019, singer and alumna Jenna Esposito ’96 and her ensemble graced the stage at the Walter Reade Jr. Theatre at Storm King School to celebrate Italian-American heritage and share their music with our current students. Jenna performed an eclectic mix of old standards and pop songs including “Come Prima,” “Can’t Take My Eyes Off of You”, “Teenager in Love” , “Mack the Knife” and “That’s Amore” to a smiling and engaged audience. Jenna made her New York nightclub debut as a singer in 2004 and has been delighting audiences across the country ever since. As a student at Storm King, Jenna was an active participant in theater, chorus, jazz band, and softball. 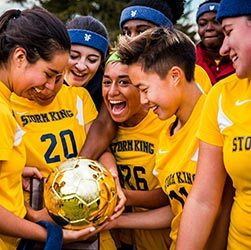 She graduated from SKS in 1996 and was awarded the Storm King Cup that same year. Following her time on the Mountain, Jenna attended Sarah Lawrence College where she graduated in 2000, followed by several years spent with children’s touring theater. Jenna is perhaps best known for her tribute to singer Connie Francis, which has been a smash hit among critics and audiences alike. 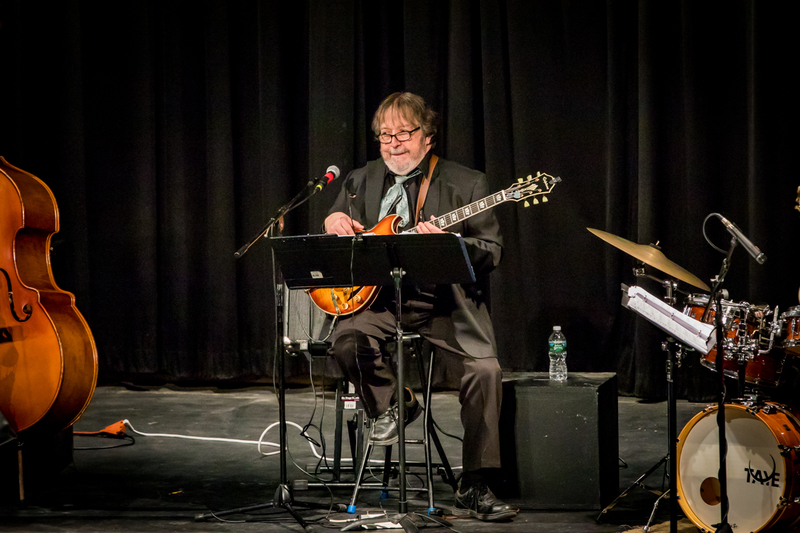 Jenna is also renowned for her tribute to the “King of Cool,” Dean Martin, as well as songs made famous by fellow Italian-Americans such as Frank Sinatra, Bobby Darin, and others. Throughout her career, Jenna has headlined in numerous clubs, theaters, and festivals, both in New York City and around the country, and she has self-produced three CDs which are available on iTunes, Spotify, and CDBaby.com. 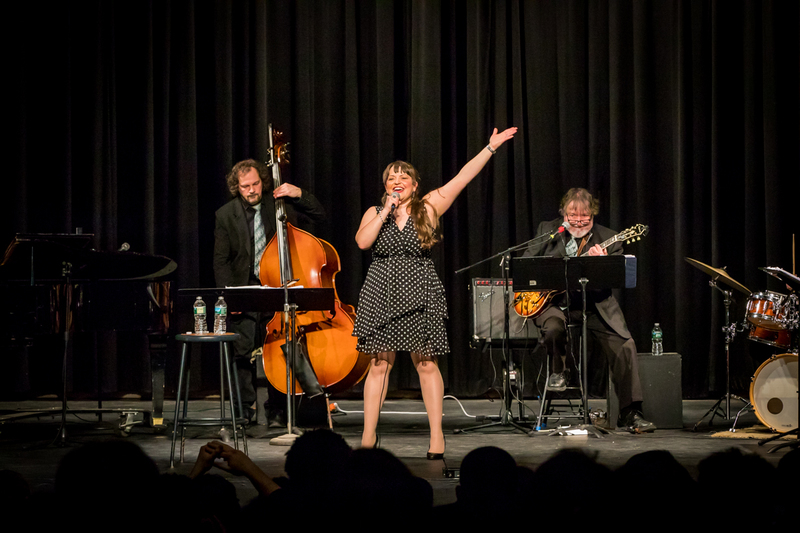 Her most recent CD is titled That’s Amore: Songs from the Great Italian-American Songbook.